“In theory, the New Zealand Parliament has the power to make and unmake our gambling laws. In practice, the backroom contract between the National government and Sky City could stymie effective regulation of gaming for the next 35 years”, according to Professor Jane Kelsey from the University of Auckland. Parliament would still have the power to change the law to terminate or review the casino’s license before 2048, cut the number of gaming machines or tables it is guaranteed, or impose more onerous ‘harm reduction’ obligations. But at a price. Under the Heads of Agreement released today, the government would have to pay compensation to the company, although the amount is capped. The agreement is silent about the forum for disputes. Normally, cases for breach of contract would be pursued in New Zealand’s domestic courts according to domestic contract law, which has been developed with reference to norms and interests as they evolved over time, although the parties could go to domestic arbitration. 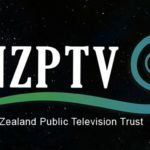 Under almost all of New Zealand’s existing agreements these guarantees are subject to a general exception that allows the government some room to regulate for public morals, or essential interests in the case of the investment agreement with Hong Kong. This exception would have to be argued as a defence if a foreign investor brought a claim before an international investment tribunal. A dispute at the World Trade Organization between the US and Antigua agreed that ‘measures to protect public morals’ includes the regulation of gambling. However, the arbitral tribunal is not bound to follow WTO interpretations. The proposed Trans-Pacific Partnership Agreement (TPPA) would be a totally different matter. 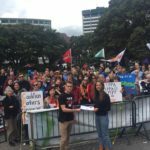 It is clear from past US practice and discussions with negotiators that the US is opposing the application of a similar exception to the investment chapter of the TPPA. According to the leaked investment text, if the government violated an explicit undertaking in a legal document it is ‘particularly likely’ to be interpreted as an indirect expropriation, irrespective of the circumstances in which the undertaking was given and even if the Parliament has declined to enact it in legislation. Foreign investors could also allege a breach of fair and equitable treatment because the rules were changed on them after the investment was made. The New Zealand government would be open to such claims from investors of ten of the other eleven TPPA countries, including the US. Currently Australia has not agreed to adopt the investor-state dispute section of the investment chapter. SKYCITY Auckland Limited, a wholly owned subsidiary of SKYCITY Entertainment Group and SKYCITY Casino Management Limited are both listed companies on the Australian and New Zealand stock exchanges. Shares in the parent company have reportedly risen from $4.55 when the proposed deal became public to $5.13 after it was announced today. Among SKYCITY Entertainment’s ten largest shareholders are four US finance companies: US private equity and finance firms Black Rock Inc, with over 23 million shares, currently worth nearly NZ$120 million. State Street Corporation has nearly 20 million shares, Mondrian Investment Partners more than 17 million and a subsidiary of Lazard Asset Management owns nearly 16 million. Most of the remaining top ten shareholders are Australian firms. Ownership could, of course, change at any time, including by existing shareholders manipulating ownership to bring them within the jurisdiction of investment chapters in agreements. 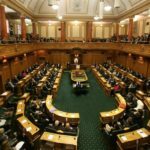 “While Opposition parties and ordinary Kiwis are right to be outraged about the National government’s convention centre-for-pokies deal, they need to ensure that the TPPA does not give foreign investors in the casino and similarly toxic activities more ammunition to protect their profits at our expense”, Professor Kelsey concluded.